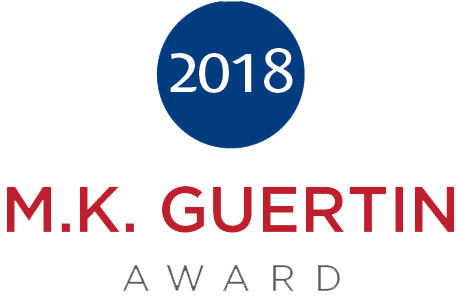 Our recently renovated hotel rooms and suites feature modern furnishings and convenient in-room amenities including free high-speed Wi-Fi, large flatscreen TVs and Keurig coffee stations. Choose a room or suite to suit your needs and budget and, when you are ready, book using our online booking engine for secure service with our best rates. 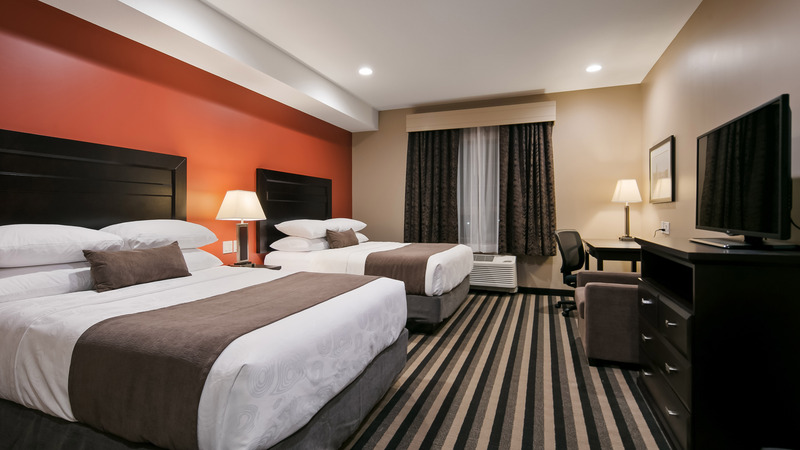 Perfect for families, this room features two queen-sized beds, a 38” TV, mini-fridge, microwave, Keurig coffee station, desk and all our basic in-room amenities. 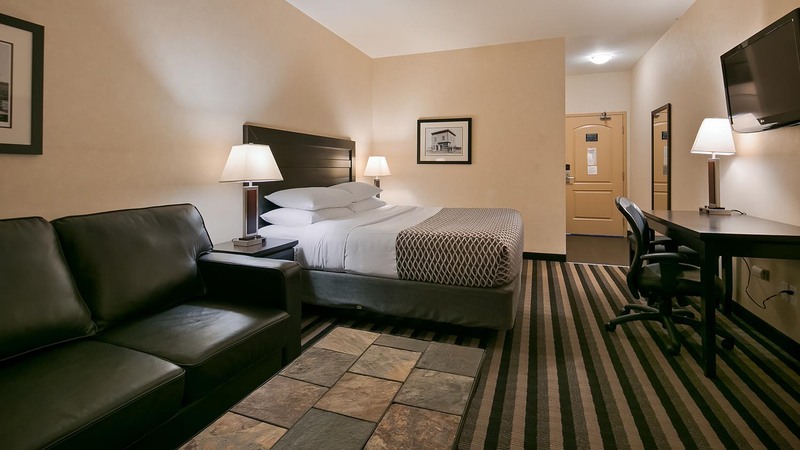 Ideal for business travellers, this room features one king-sized bed, a 38” TV, mini-fridge, microwave, Keurig coffee station, deskand all our basic in-room amenities. For the comfort and safety of our disabled guests, this room includes widened door frames,and accessible shelving. 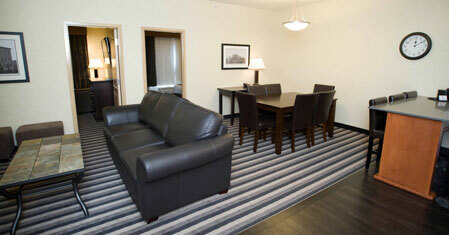 It is furnished withone king-sized bed, a 38” TV, mini-fridge, microwave and all our basic in-room amenities. This cozy suite includes one queen-sized bed and a separate living area with a queen sofabed, separated from the main sleeping area by a semi-private dividing wall. It has two 38” TVs: one in the sleeping area and one in the living area. 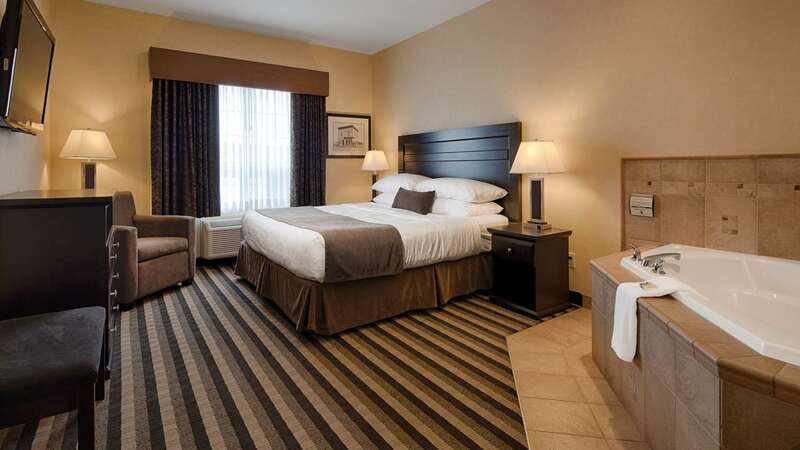 All our basic in-room amenities are yours to enjoy including a mini-fridge, microwave, deskand Keurig coffee station. Relax in our lavish King Jacuzzi Suite! It features a large sitting area with a fireplace, 42” TV and queen sofabed plus a kitchenette area. 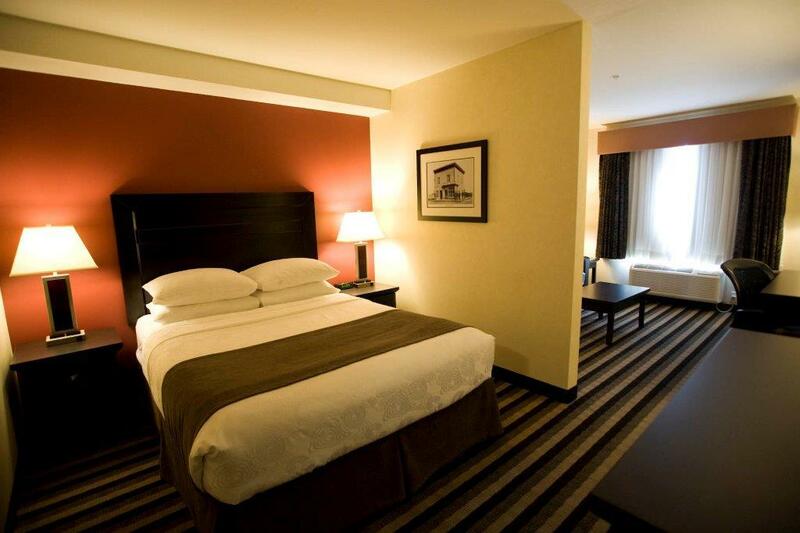 In the spacious bedroom there is a luxurious whirlpool tub for two, 42” TV and plush king-sized bed. The suite includes a mini-fridge, microwave, Keurig coffee station and all our basic in-room amenities. 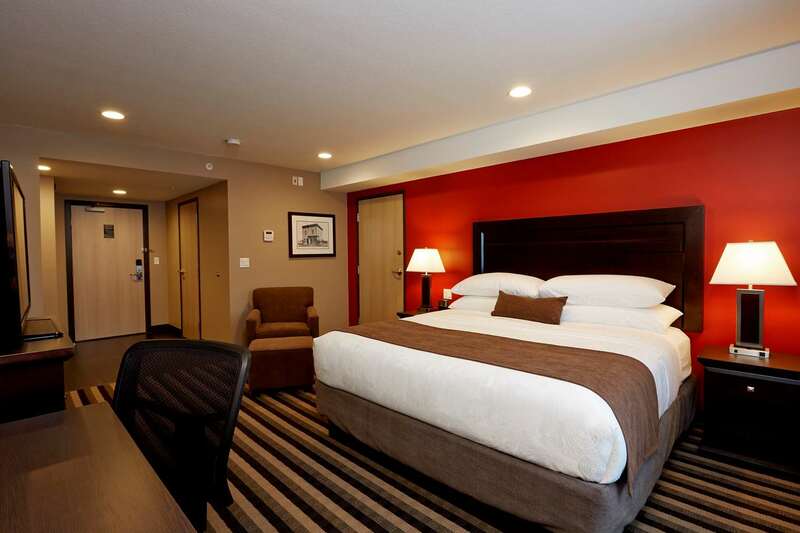 This comfortable suite features a separate bedroom with king-sized bed and 42” TV. The sitting area has a fireplace, queen chairs and a sofabed. 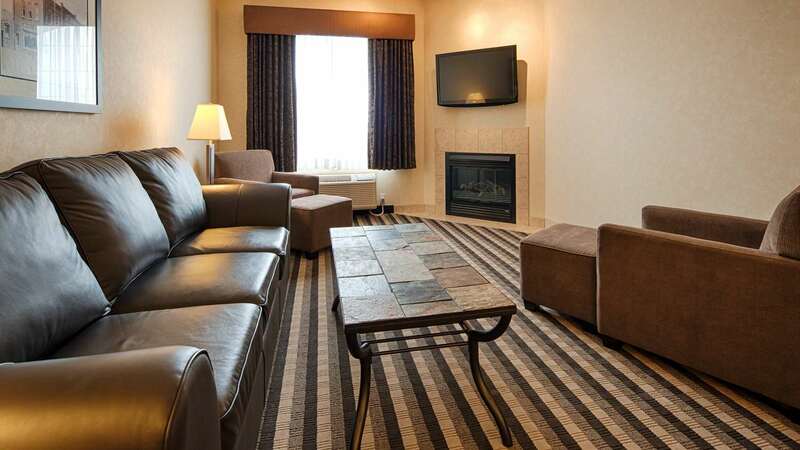 The suite includes a mini-fridge, microwave, Keurig coffee station and all our basic in-room amenities. 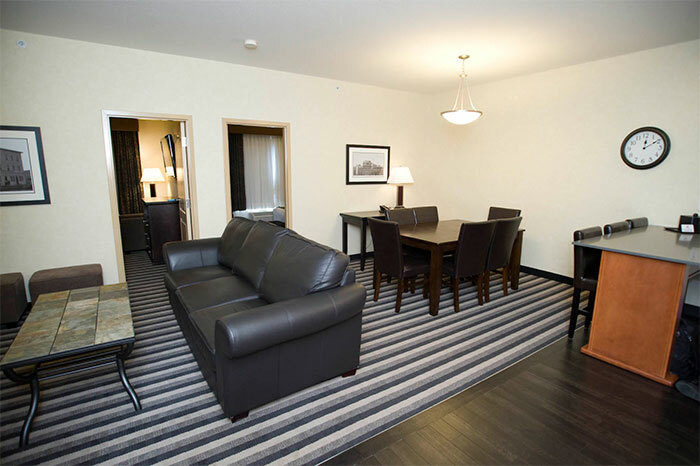 This large, well-appointed suite features two separate bedrooms, each furnished with one queen-sized bed a 42 " TV. There is also a large sitting area with one queen sofabed and another 42" TV. The kitchenette area features a cooktop stove, microwave and mini-fridge. All our basic in-room amenities are included.